How to Tenderize Meats Like a Pro! Welcome to my online cooking and culinary arts school. 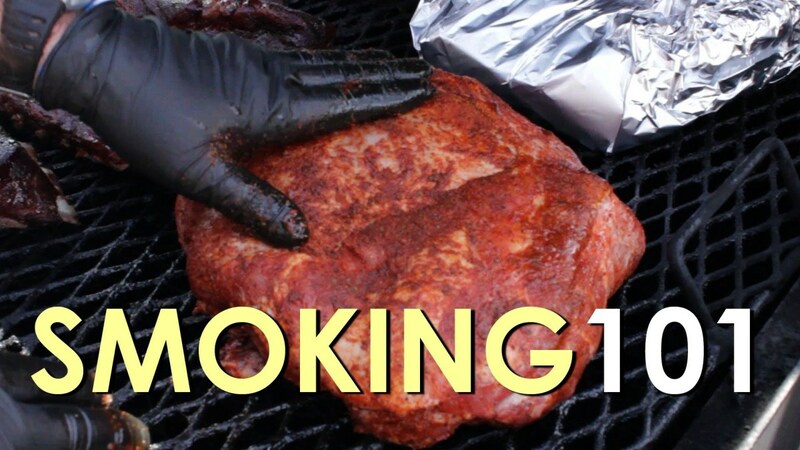 Today’s culinary art technique is how to tenderize meat, especially for BBQ cooking. Learning to do this properly can save you major bucks on your grocery bills. 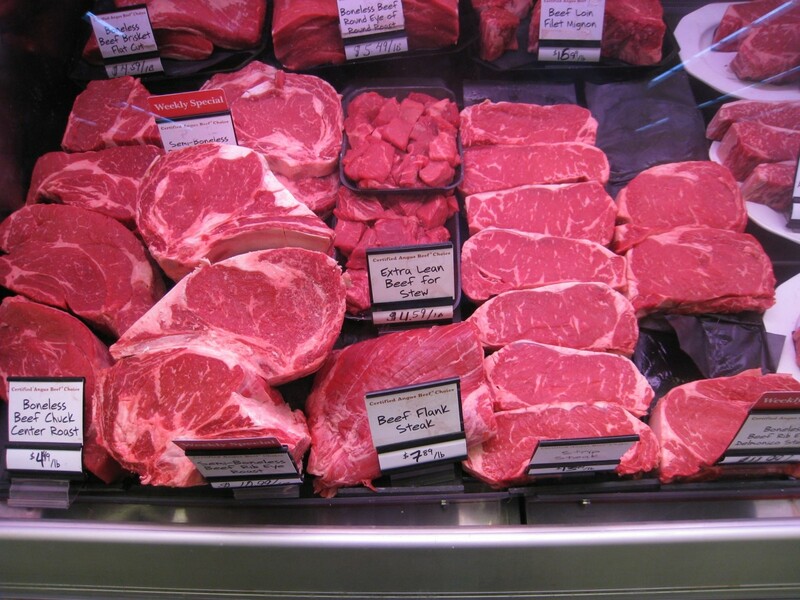 You can easily turn cheap cuts of meats into tender, juicy servings, at a fraction of the cost! 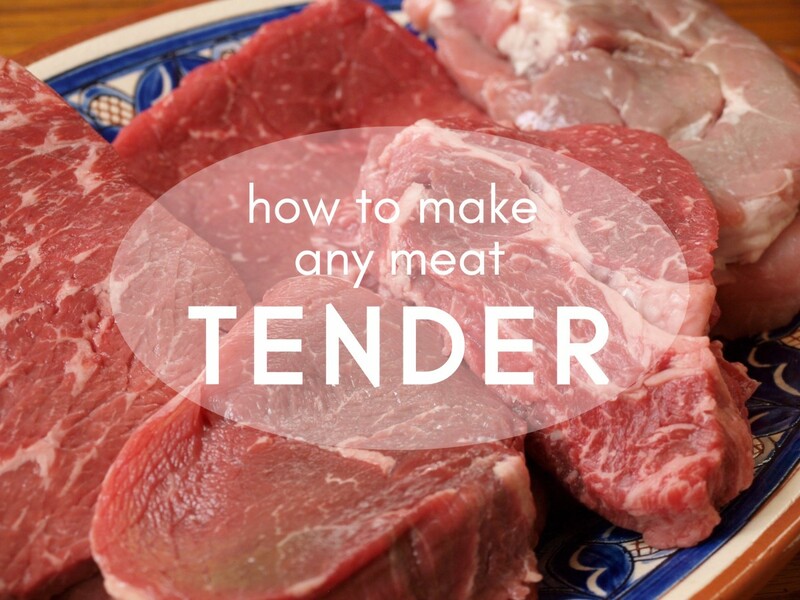 There are actually several methods for tenderizing meat. One is to use a chemical powder that’s made from papaya or pineapple. Other methods involve baking soda or salt, and another is the use of marinades, including grilling marinades. Tough muscle fibers can also be broken down manually. Each method is described fully below. Baking soda is how Chinese restaurants get that velvet texture in stir-fries. 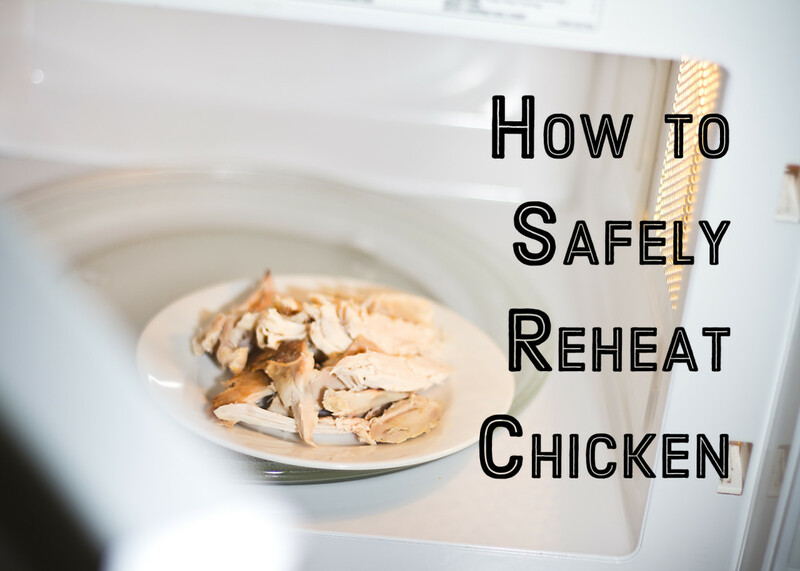 This method is best for thinly sliced meat, seafood, or poultry that’s used in dishes like stir-fries and fajitas. Thinly slice the meat across the grain. This is important! The slicing alone will help make the meat more tender because you’re doing away with the long muscle fibers. Next, work the baking soda into the meat, using your hands. 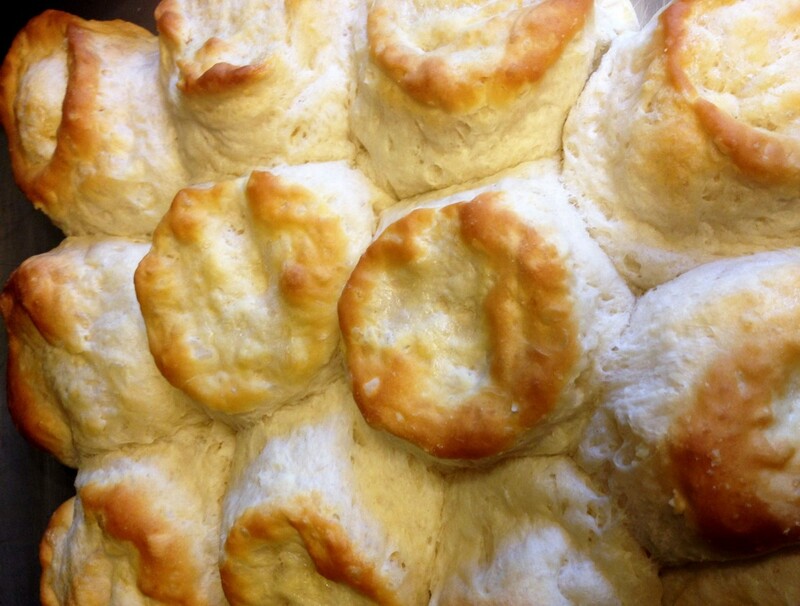 Use about one teaspoon of baking soda for each pound of meat. Let the meat sit for about 20 minutes, then rinse thoroughly. 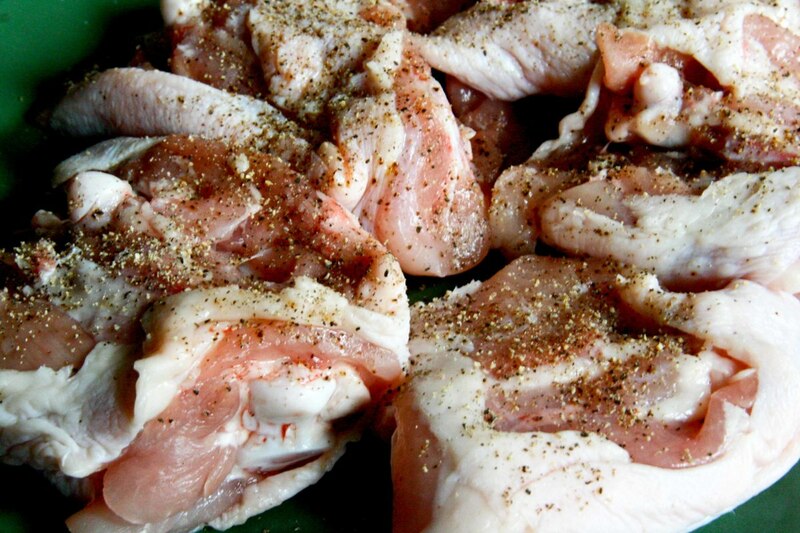 Place the strips of meat or poultry between layers of paper towel and press firmly to remove all the water. Cook as desired. This method works great for thick steaks and chops, especially on the grill. The salt draws water from the meat, then some of the salt is absorbed into the meat. 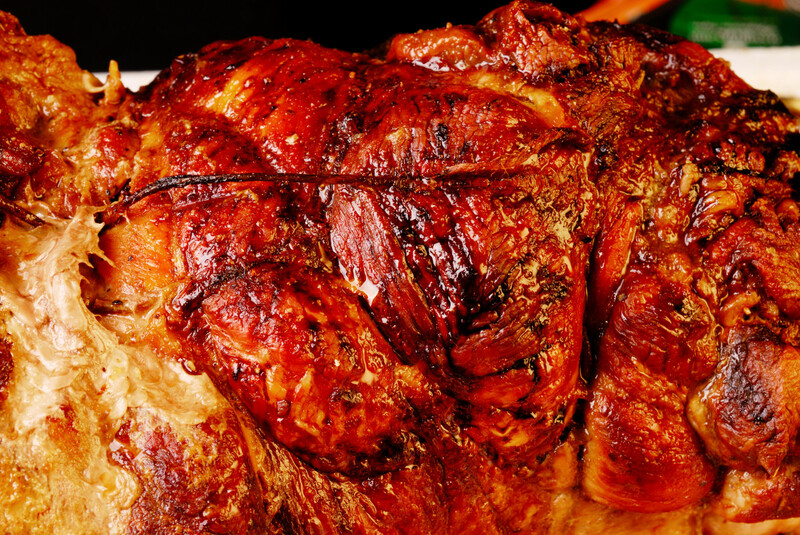 Salt relaxes the muscle fibers, causing the meat to become more tender. The salty protein cells also tend to trap fat, making the meat juicier. 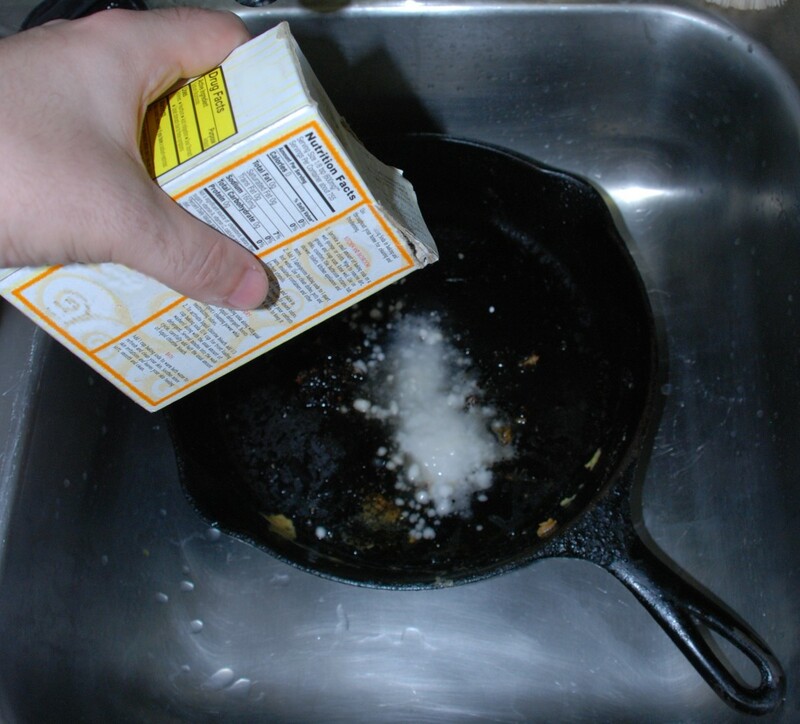 To use this method, coat – don’t sprinkle – the meat or poultry with salt. Let it rest for 20-60 minutes, but no more. Rinse the meat thoroughly and pat it completely dry with paper towels. Grill until desired doneness. For even more flavor, add crushed garlic to the salt. As the salt enters the muscle fibers, it will take the garlic with it. Some cooks think they can just sprinkle the powder on the surface of the meat and voila – their job is done. Wrong! The tenderizer has to get into the meat in order to work. If it just sits on the surface, the surface will get “mushy,” and the inside of the cut will still be tough. To get it right, pierce the steak, chop, or fillet with a sharp knife or fork all over, then coat that side with the powder. Sprinkle on some liquid to help the powder reach the inside of the meat. You can use water, but to add flavor, you might want to use fruit juice, Worcestershire sauce, soy sauce, teriyaki, vinegar, or wine. 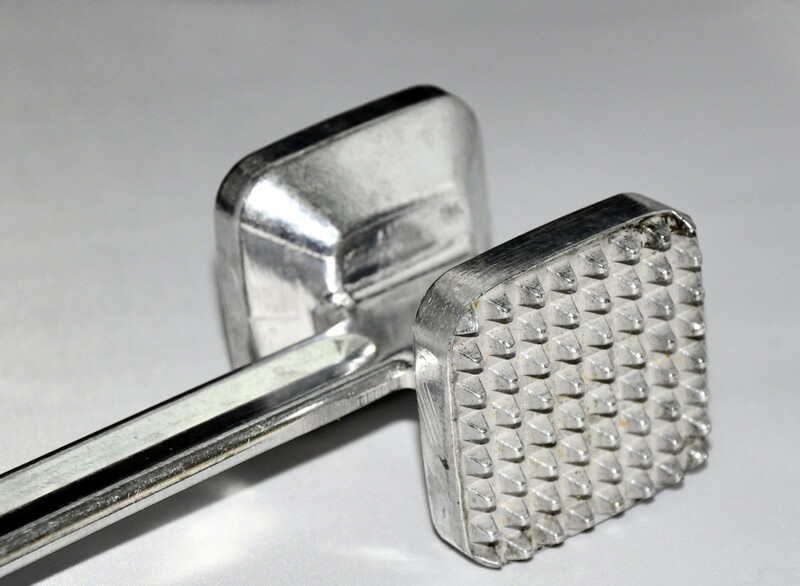 One of the best ways to break up tough muscle fibers is by using a meat mallet. These are usually made of wood or metal, but I like the metal ones because they’re so much heavier. Simply pound both sides of the meat with the mallet. If you don’t have one, the opening of a two-liter soda bottle makes a decent substitute. Of course, when you pound the meat, it’s going to be flattened, so you probably don’t want to do this to a steak that’s going on the grill. For these, break up the muscle fibers with a fork or the point of a sharp knife. Any acidic liquid will help tenderize meat and also infuse flavor. This include wine, vinegar, and acidic fruit juice like pineapple, lemon, lime, and orange. You can also add other flavors like minced garlic, rosemary, basil, or sliced onions. Just cover the meat with the marinade and place in the fridge for a couple of hours to overnight. The tougher the cut, the longer it needs to marinate. Also, experiment with mixing liquids together for great marinades. Try Italian dressing and pineapple juice for chicken wings, vinegar and orange juice for pork roasts, and white wine and line juice for shrimp. Be creative! Learn the culinary arts of tenderizing in online cooking school! 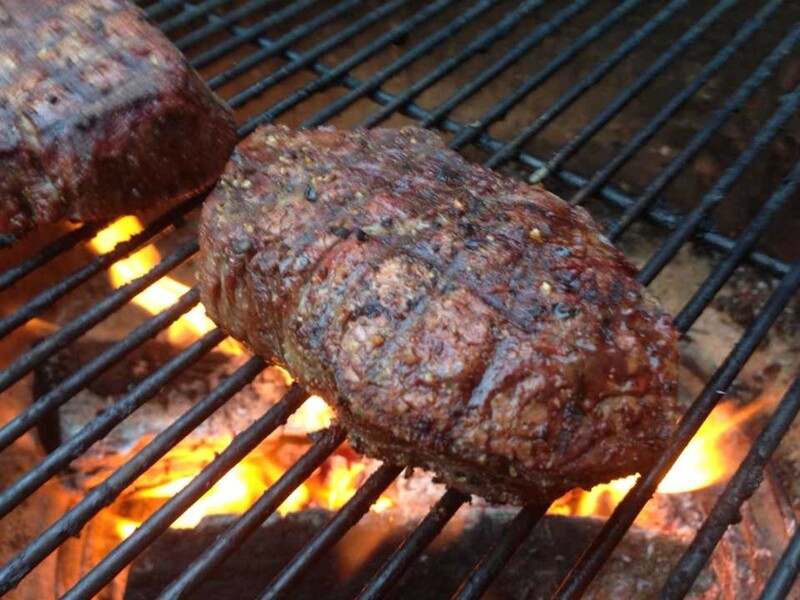 Which marinade would you choose for top sirloin? Red wine, oil, red onion, garlic, and peppercorns. 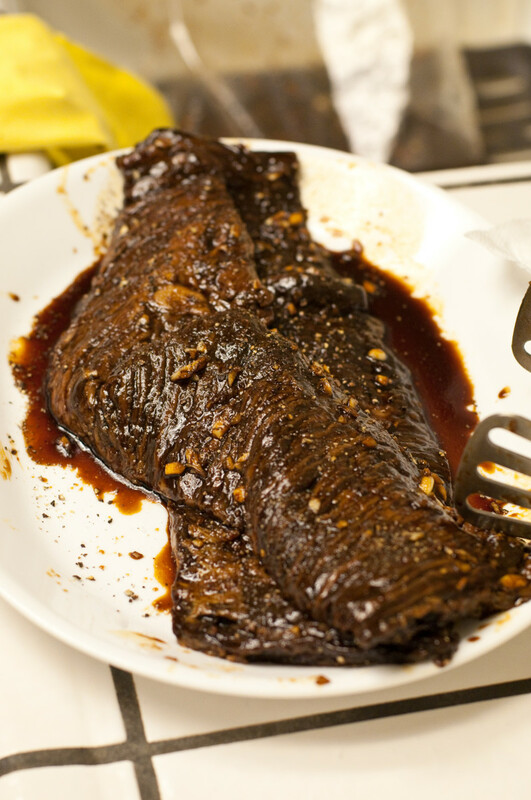 What marinade do you use for a bottom round roast? I like oil, red wine, onion, garlic, and pepper. Rub the roast with meat tenderizer first. Do I need to wash the powdered meat tenderizer off the beef before cooking? Can I substitute pineapple juice for orange juice as a meat tenderizer? Holle, Thank you for the great information and tips. Your article on tenderizing meat and marinades is presented in a comprehensive way and answered a lot of my questions. I really look forward to applying the techniques you provided when cooking indoor or on the grill. I use red wine for beef. OK. Would it work the same for pork? Why does meat tenderize taste so salty? Won't the steak taste like it's been over salted after grilling? Can I marinade it in something mildly acidic after putting the meat tenderizer on and in the steak for a couple of hours? Nice post. I appreciate the way you gave several solutions to marinating without wasting money on ready-made store-bought bottled junk!!! I think cheap, tough cuts have better flavor. I appreciate learning how to better tenderize my tough cuts. I wanted to add something to your suggestion of using pineapple juice as a marinade. Pineapple contains bromelain, a natural meat tenderizer. Unfortunately, bromelain is deactivated by heat and commercial pineapple juice is pasteurized so the bromelain is inactive. Try throwing some fresh pineapple in a blender and use that in a marinade, you'll be amazed by how tender your meat comes out, be careful though, it is such a potent marinade that it has the ability to overtenderize the meat and make it mushy. Habee, what about BEER? I am sure you have heard of Beer Can Chicken? Beer also works well as a marinade to tenderize meats. I usually let meats soak in marinades for much longer than recipes suggest! Thanks for this hub! I learned a lot, and now I'm not as leery to go and get those tough cuts of meat. My problem was that I wasn't letting them marinate long enough. I'm also anxious to try baking soda with stir fry beef. Fascinating. Thanks! Mulberry, hope you get great results! This could be the answer to my prayers. I'm going to try these...I hate tough meat and my results are spotty at best right now. Glad the info was useful, Chevy! Huh..Didn't know about the baking soda tenderizing! Nice job. Thank you for sharing these really great tips. They were very useful. Great! I give both Patricias an A+ in my online cooking school! You've given us a whole list of new ideas! Pat tends to marinade meat, usually with a lot of seasoning. Tricia has several food sensitivities and needs to be very careful, so we will try some of your suggestions. Thanks for such a useful hub - we're rating it up. Teddle, maybe you're cooking it at too high a temp? 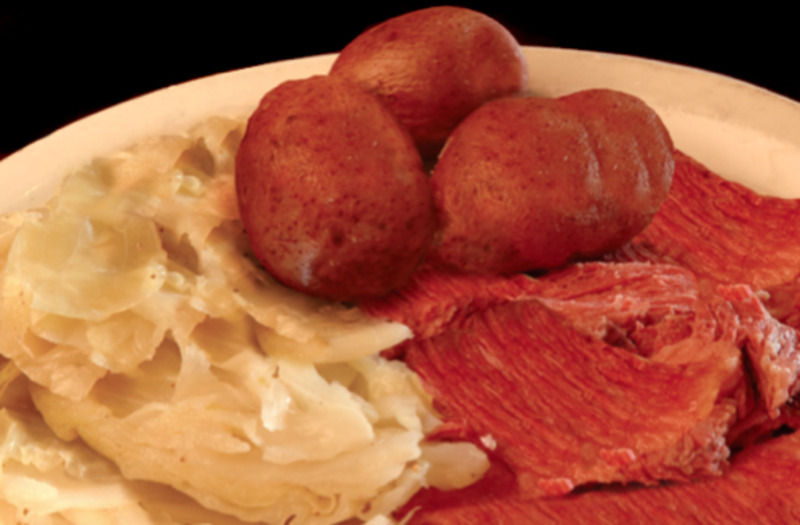 Johnny usually slow cooks ours on an electric smoker over pecan twigs, and it's awesome! I wrote a hub about using an electric smoker. Aud, you should have offered her some "barbecue"!! Ha! Habee, Some of those meat tenderizers sound great. Good hub. Ya never know! Thanks for the tip! I seriously think the lady thought I was mincing up someone and putting him or her in the freezer! She did not look happy with my explanation....go figure! Audrey, next time try the opening of an empty 2-liter soda bottle! Of course, I don't think it would prove effective on Bob's head! Thanks, Jen. I hope to do a lot more online cooking classes! Right, Msorennson; pineapple serves the same purpose. Thanks for visiting! Sambo, you are so good for my ego! I always love reading your comments! Let me know how you like it, Sheila! Thanks, Bpop! I'm headed over now for a late breakfast! I personally like the meat mallet - I seem to enjoy pounding the living heck out of meat or chicken. I once substituted (on vacation) a heavy pan because I did not want to spend the money at the trendy little store in town and buy another meat mallet when I had 2 at home already. We were staying in a condo and the next door neighbor actually came over to see 'what was wrong' when she heard the pounding - too hilarious. I met her at the door with the pan in hand and told her I was just whacking my husband! (She did look at me a little funny and paled a bit) Yikes...ah well - I digress. Wonderful tips! Thank you, habee, for such a lot of good tips. I never knew about baking soda. Thank you, habee. The main ingredient in meat tenderizers is the enzyme found in papaya skins. It is called papain. In the countries where papaya grows, the people knew this so they used papaya together with the meat, without knowing the enzyme there. I am glad I learned more methods to tenderize meat. Thank you!! Glad you enjoyed my online cooking classes, Jen! Many thanks, Veronica! 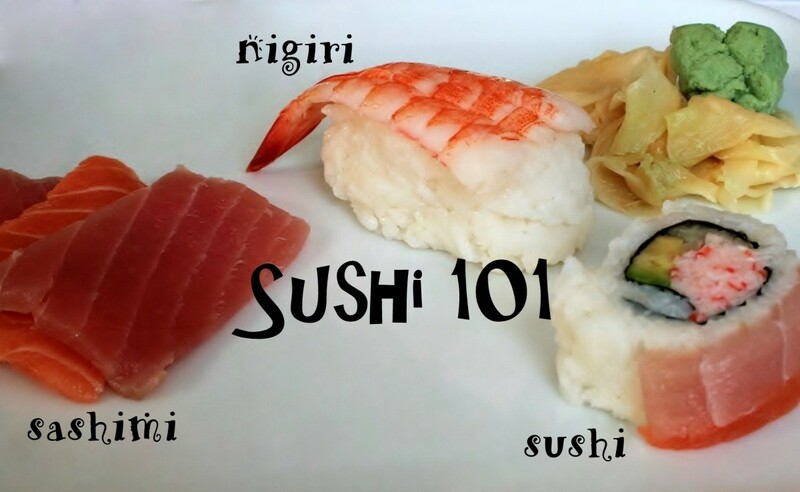 Since I couldn't have a real culinary school, I started my own online culinary school! Prasetio, you're already part of my online cooking school! habee, thanks for such a helpful hub. I have bookmarked this so I can go back later and share it with my wife. Voted it up. You are simply amazing. I particularly like your suggestions for marinades. I'm going to try a fruit juice and see how I like it. Thanks habee. I really needed to learn more about this subject. Just the other day I was pulverizing a piece of meat wondering if I really was accomplishing anything. Thanks for the great info. I especially appreciated the baking soda moisturizing tip. I love your introduction Habee! I have rated it up and bookmarked it. It would be fun join this school. Actually I liked something about education and you also educated me well. Thanks for share about this, good topic. Two thumbs up for you.